A ancient zoan type devil fruit user. 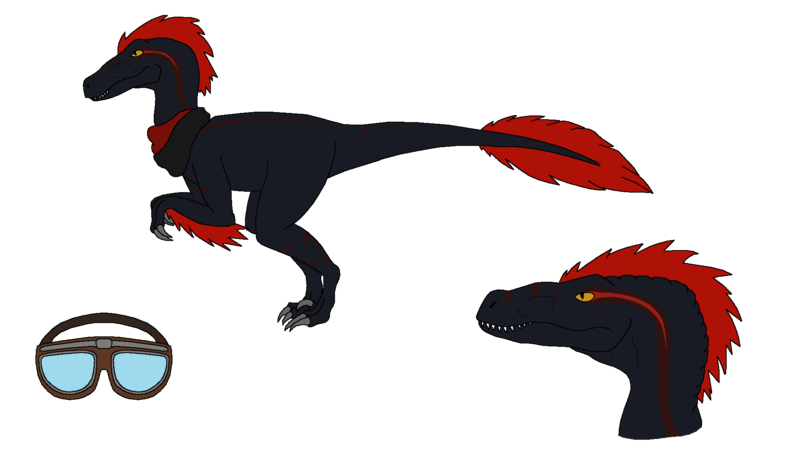 Uses the Utahraptor model. She tends to stay well away from cold environments, since raptors are cold blooded. Even when on a hot island, she will always wear her two scarves. She always seems to feel cold, but unless near a winter island, she doesn't seem bothered by it. Not cold to the touch, but not exactly as warm as normal people. Despite being a carnivore type zoan fruit, her strength was not boosted as much as others, instead speed was increased. However, she will slow down whilst in cold areas, but appear to be more active when it's warm, like a snake.